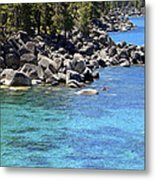 There are no comments for Pines Boulders And Crystal Waters Of Lake Tahoe. Click here to post the first comment. 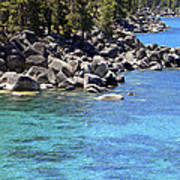 A view of the Lake Tahoe on the Nevada side. 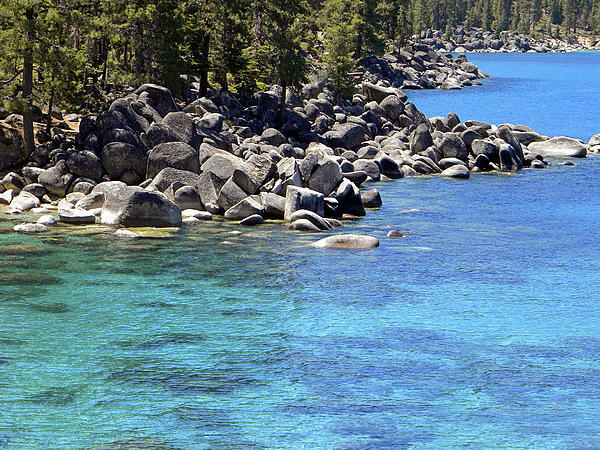 The boulders around the lake are enormous and the water is among the cleanest and clearest in the entire world. On average, you can see 70 feet down into the Lake which gives the Lake it's famous "Caribbean" blue and turquoise colors. 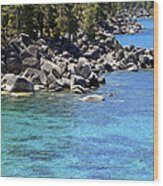 The tall evergreen forests surrounding the Lake consist of firs, cedars, hemlocks and many species of pines.